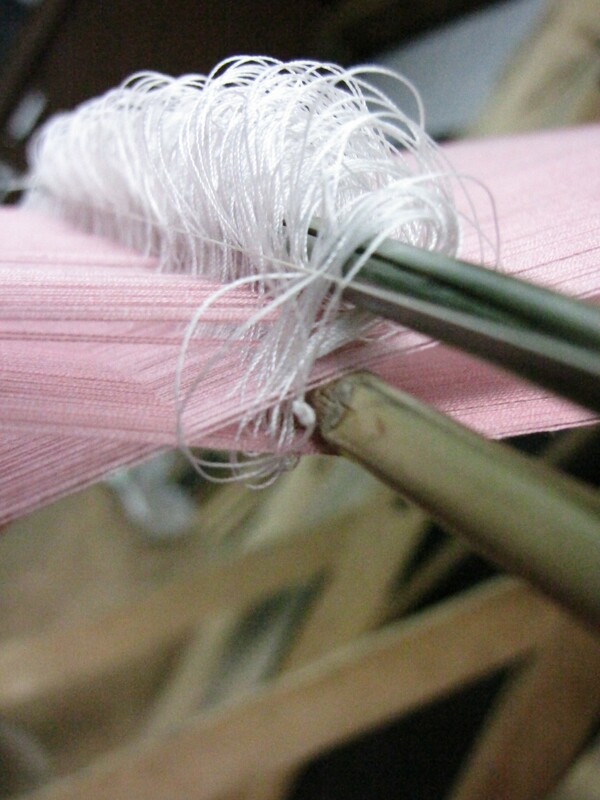 Kushutara means brocaded dress, and refers to cloth decorated with the intricate kushu techniques, involving discontinuous supplementary wefts. 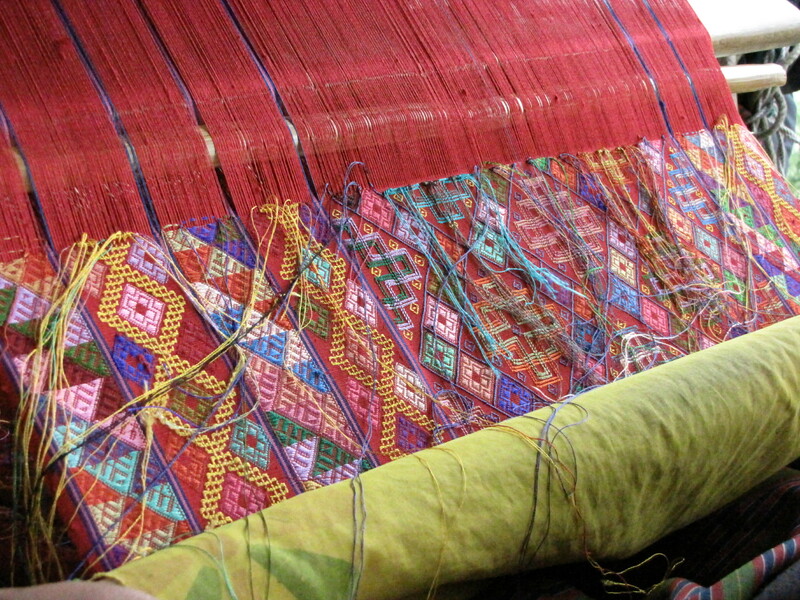 The most prized are woven with silk patterning on a silk ground, but silk on cotton is also common, and other combinations of yarn fibres are sometimes used. 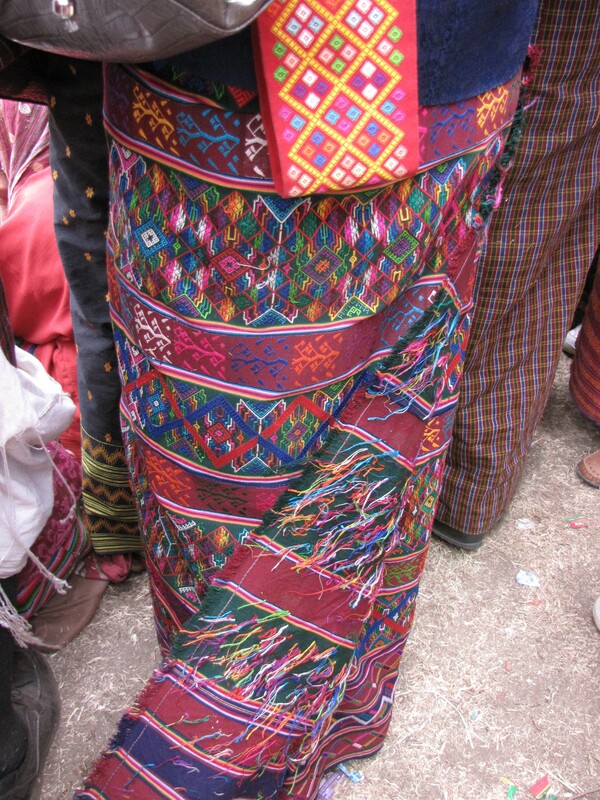 Bhutanese refer to two types of kushu techniques: Thrima and Sapma. 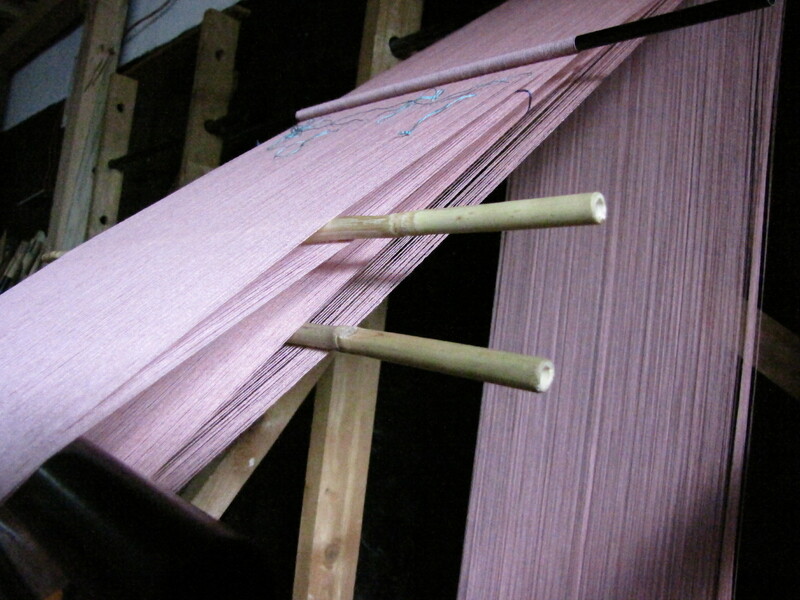 Both are woven by lifting selected threads with a pickup stick before inserting the supplementary weft threads in such a way that the stitches only show on the front of the fabric. 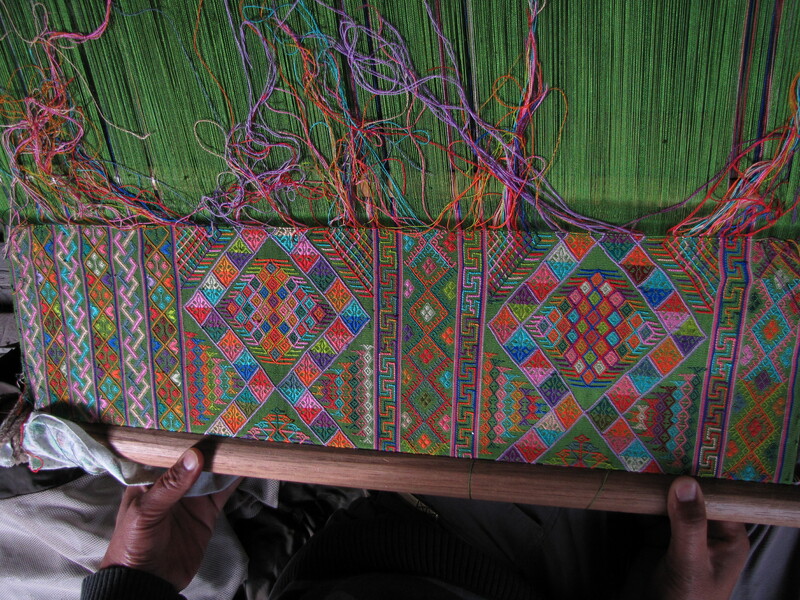 What I did not understand until I was taught to weave kushu is that this is achieved by dividing the main shed with a thin sword or bamboo rod, so that the brocaded stitches are only worked through a sub-set of the warp threads lifted by the main heddle. 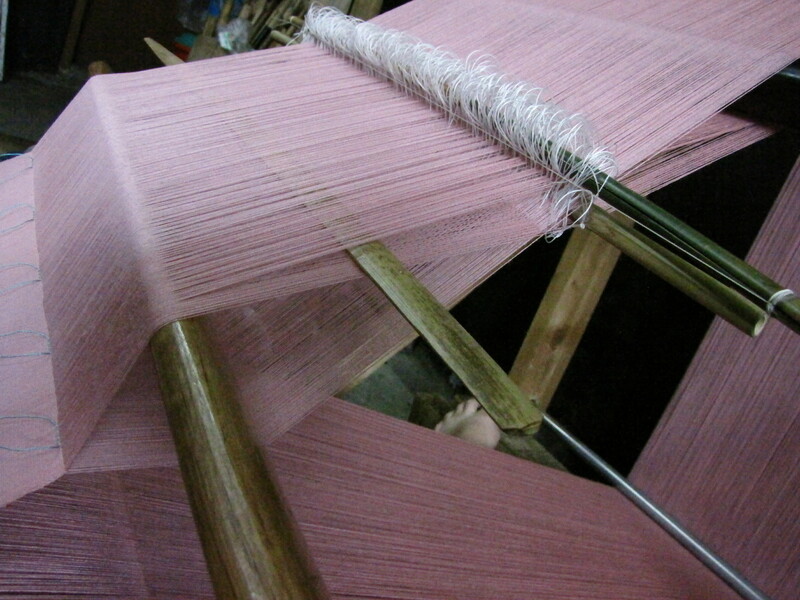 What is visible on the back of this cloth are all the ends of the supplementary threads, sometimes so much that it looks like shag pile carpet. 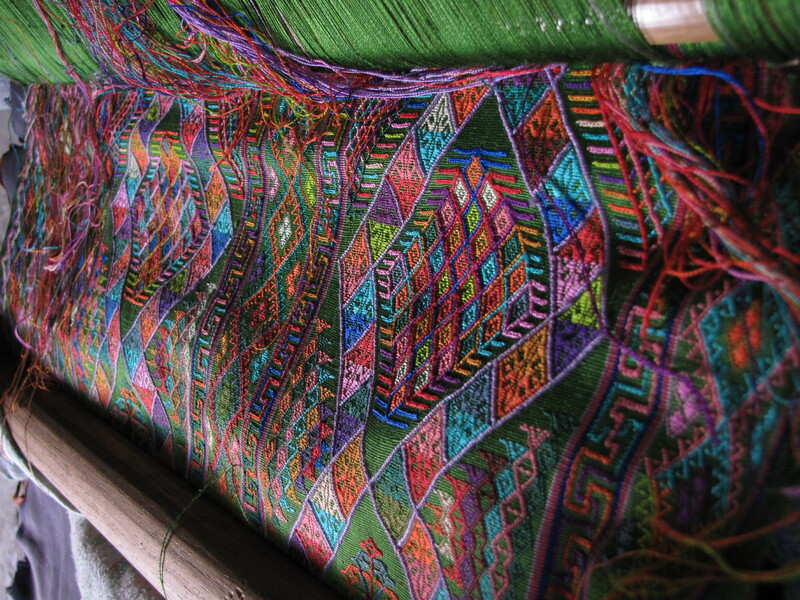 This entry was posted in Bhutanese Techniques and tagged Asian, Bhutan, Kushutara, Textile, weaving by Wendy Garrity. Bookmark the permalink.